Every new moon presents us with an excellent opportunity to renew, regenerate and refresh our wishes and dreams. Not only is the rejuvenating effect more potent on the first new moon of a new year, I believe the intentions we set for ourselves on this day can become the vibrational engine driving our manifestations, as the year unfolds. Numerologically speaking, the planetary vibration for 2016 is a ‘9’ which symbolises Universal Love and Enlightenment, besides other energetic properties. Everybody on Earth will be influenced by the qualities of ‘9’ to some degree. To align ourselves with the theme of loving kindness, humanitarianism and benevolence especially in 2016, I feel we could begin by expressing self-love and appreciation on this very New Moon. 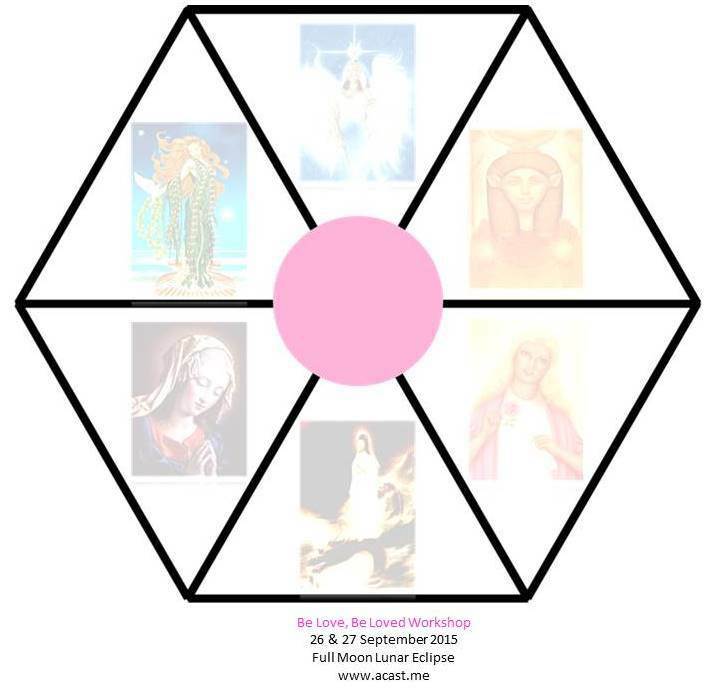 Connect with the sacredness of your heart and intuit six attributes which best represent your divinity in its highest expression. Write these six qualities on the hexagon, one quality in each sector. Place the completed diagram somewhere visible to regularly energise these qualities and enhance their expressions through your thoughts, feelings and actions. Alternatively, convert diagram to an E-picture for easier access and display. The diagram was originally designed as a meditation tool for a 2015 workshop ‘Be Love, Be Loved’. 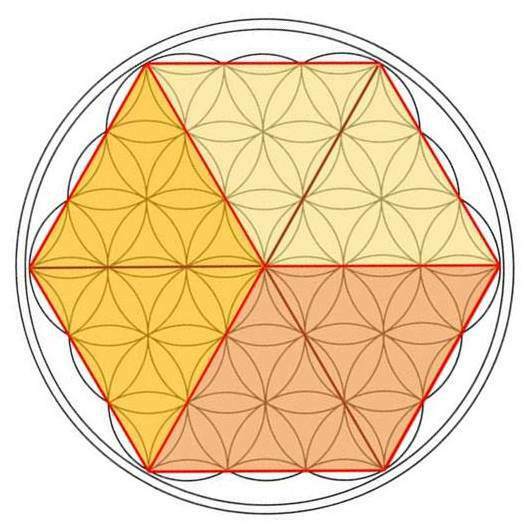 Besides being infused with the healing and manifestation powers of six Goddesses – Mary Magdalene, Aphrodite, Isis, Hathor, Lady Nada and Guan Yin – the diagram engages the pure creative force embedded in the sacred geometry Flower of Life. See diagram below.